A roof is an essential part of your home or commercial business. Without it, no building can be considered intact and complete. 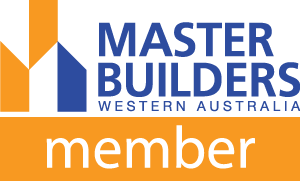 As one of the leading West Australian roof steel suppliers, we at Metwest Steel pride ourselves in ensuring that you have the last thing you need, to complete your property. So, what makes us the best in the business? Well, you name it, and we have it! We are the leading steel supplier to the real estate industry within the region. We supply a huge variety of steel products that is in demand in the real estate industry. Some of our leading products include roof steel products, steel lintels, tee bars and reinforcing mesh among other things. You can, therefore, always find everything that you need for the construction of your steel roof, from our company. In addition, we cater to a wide variety of building needs. This means that our products have a wide range of measurements. Our roof steel has a span ranging from 3200-7500. In addition, our sizes range from 150 UB14.1-310UB 32.0. It is, therefore, possible for you to access all the roofing materials that you need in any size and span that you require for your needs. Unlike some of our competitors, we go a step further to provide you with extra services. If you need transportation, we will help you access it. In fact, we have a fleet of vehicles that will help transport the steel products that you have purchased from Metwest Steel anywhere within the metro area or Western Australian region. How many steel suppliers can do that? We at Metwest will also help you with the onsite welding projects if you need us to. We have qualified riggers and onsite welders who are qualified at their jobs to aid you in that aspect. 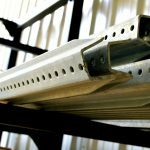 In addition, we also staff members who are skilled at fabrication, lintels and any structural steel work that you may need done. As a company, we have over half a century of experience, something that makes us the regional leaders in our field. As long as it involves steel, we are the best professionals for the job. We take pride in being trustworthy and of high reputation. We will always quote very competitive prices with regard to any steel products or services that we provided to you. We will even use your architectural or engineering drawings of either residential or commercial property to give you fair price quotes. This ensures that you know in advance, what we will charge you thus enabling you to budget well for what is required. As one of the leading West Australian owned and operated firms, we take pride in helping bring glory to our region in terms of business. We just use steel to do that! Give us a call today, and let us serve you.